Shamel Milling offers a full line of Rabbit Feeds and Supplements. 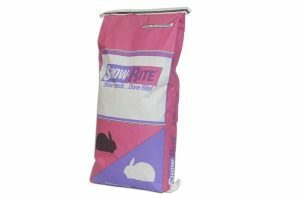 Show-Rite® has two feeds specifically for show rabbits. Premium Rabbit Pellets are complete, balanced mini-pellets formulated especially for the large show rabbit. Premium Rabbit Pellets are a complete, low protein, low energy feed for the smaller rabbit. Both are designed for optimal muscle growth, superior fur development and excellent breeding performance. Both have been tested and proven in a top rabbitry and are formulated to incorporate the newest ingredient technology available.